Keith MacVean joined the Charlotte office of Moore & Van Allen as a Land Use and Zoning Consultant in 2013. His primary role at the Firm is to help clients navigate various regulatory environments associated with entitlement and permitting processes, including rezoning efforts, subdivision compliance, land use ordinance and planning projects and transportation and master planning matters. 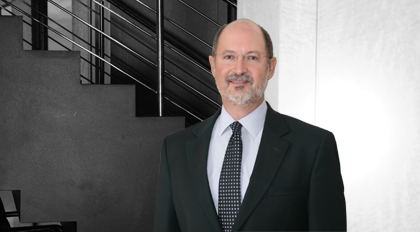 Before joining MVA, MacVean spent five years at King & Spalding assisting clients on entitlement, land use and real estate matters, preceded by his position of 24 years at the City of Charlotte Planning Department. While at the Planning Commission, MacVean led and developed a wide variety of City and County planning initiatives and processes. His primary and day-to-day responsibilities were focused in current planning and development. He oversaw the rezoning process and worked extensively with every aspect of the City/County Zoning regulations, including the creation of new zoning districts and the development of new land use plans for the fast growing Charlotte region. He also played a significant role in the interpretation of zoning regulations and assisted internal and external groups with the resolution of a variety of issues associated with the zoning regulations. MacVean also served as interim Zoning Administrator for one year. During his time with the Charlotte-Mecklenburg Planning Commission, MacVean was highly regarded as a land use professional with a cooperative demeanor and keen understanding of planning and development matters. His work earned high praise from both the planning and development communities. Since leaving the Planning Department in 2008, MacVean has worked on entitlement and development matters for a number of development companies and clients. These entitlement and development matters have ranged from complex rezoning requests involving hundreds of acres with a mixture of uses, to smaller development proposals involving a single use. Many of these matters whether large or small can encounter neighborhood and Planning Department opposition as well as regulatory conflicts. MacVean has been able use his expertise and experience to successfully navigate the entitlement and development process for the firm’s clients. General Development Policies (GDP), Charlotte Mecklenburg Planning Commission. MacVean played a lead role in the development of this comprehensive set of general development policies to supplement adopted land use plans with the goat of ensuring quality growth throughout the region. SouthPark Small Area Plan, Charlotte, North Carolina. MacVean was co-leader in development of the Land Use and Urban Design Plan for SouthPark, one of the largest office and retail centers in North Carolina. Centers and Corridors (Growth Management Policies), Charlotte Mecklenburg North Carolina. MacVean was a leader in the initial development of this set of geographically based policies designed to manage growth and strategically link higher intensity uses with transportation options, including rapid transit, interstate freeways and major thoroughfares. Transit Oriented Development District (TOD), Charlotte Mecklenburg, North Carolina. MacVean was a leader in development of a new zoning district developed for light rail transit station areas as a key implementation ingredient of the 2025 Integrated Transportation Land Use Plan. Pedestrian Overlay District (PED), Charlotte North Carolina. MacVean was a leader in the development of a new zoning overlay district developed to allow in town commercial corridors to redevelop in a pedestrian friendly mixed use manner.